We have a Staff Training Template that you can fill out for your own business and use to train your staff on your new app. All the slides include examples, so make sure to edit the information so it pertains to your own business — check out the notes under each slide for tips. Part of this training should also consist of setting specific and measurable goals. These training goals should outline what each employee will be able to accomplish with the new app. You can set a quota for new app downloads, for example. Maybe you want at least 20 downloads per week, and the staff needs to work together to reach this. Keep these goals in mind when training starts to ensure that each employee knows how to reach the objective. However, simply standing in front of the group and showing them the new technology on a screen is not enough. After the training session, give them a chance to test it out. Have everyone download the app to their own phone and experiment with it. Besides understanding the app’s value, they should also be knowledgeable about how each feature works. You can make these quick wins even more fun by rewarding employees who have effectively incorporated the app in their daily work duties. You can get creative with this! For example, you can organize a contest where the winner is the employee who got the most customers to download the app. Their prize could be a compensation, a special perk, a recognition, or anything else that would get them motivated. You could hang up a running tally of the employees’ scores in the break room to spark some fun and friendly competition. 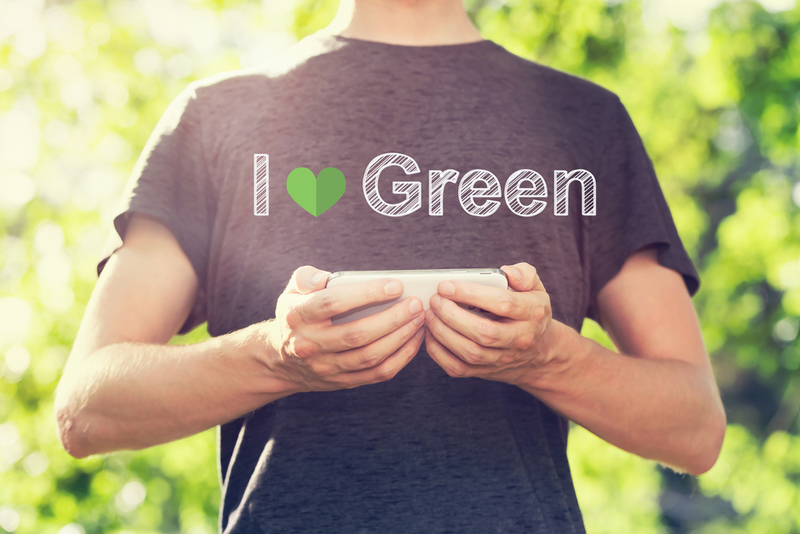 Experiment with gamification to create a buzz around the mobile app among your staff. The only way your new mobile app is going to exceed expectations is if your staff is 100% on board. They hold the power to make the app a huge success. It is your job as a small business owner to get them as excited about the new app as you are. Customers will pick up on this positivity and be more likely to give the app a try. Feel free to use our Staff Training Template to make training an efficient and motivating experience. Today, 4 in 5 restaurant operators agree that restaurant technology increases sales makes their restaurant more productive and gives their restaurant a competitive edge. The fastest way to make this happen in restaurants is by training and educating staff on emerging mobile apps. Nurturing and embedding technology is proven to drive sales. 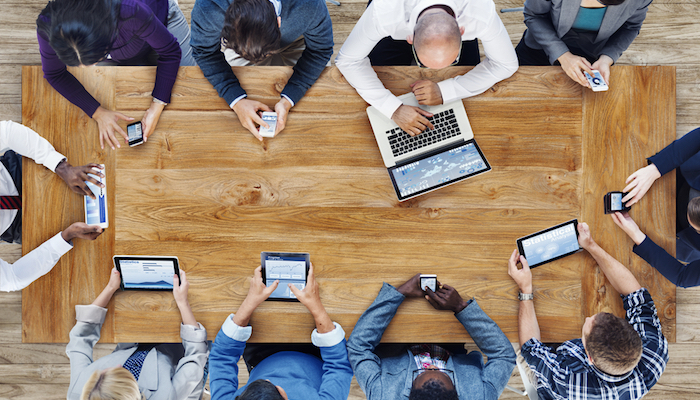 Our economy is experiencing a cultural shift to digital and mobile, so it’s important to share with your staff how your business is keeping up with the times. In this blog post, you’ll learn how training staff on apps and mobile technology can be put into action. When is the right time to train your staff? Immediately, upon arrival! 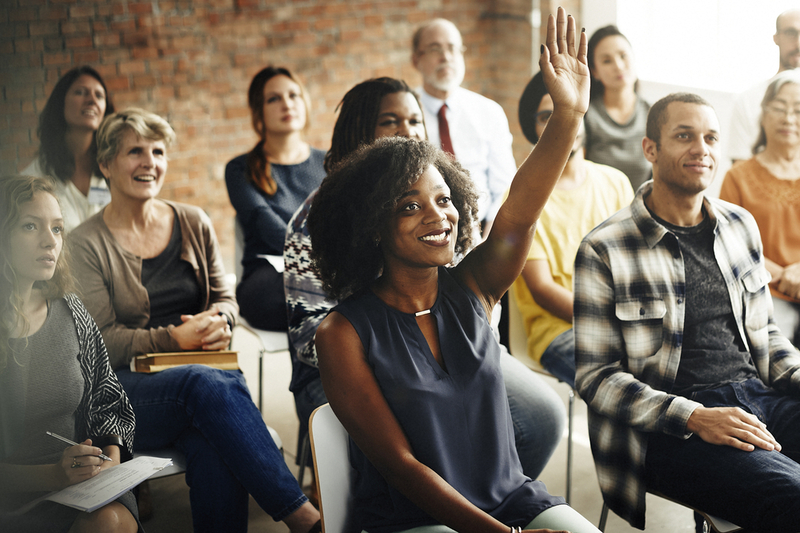 Your new employees should undergo an all-inclusive new-hire training program. If you are an independent business owner, you might have read “training program” and thought “we’re too small for THAT”. On the contrary; any business needs that training in place if their long-term goal is to grow the business. How do you keep your staff informed? Most restaurants have their own communication flow. 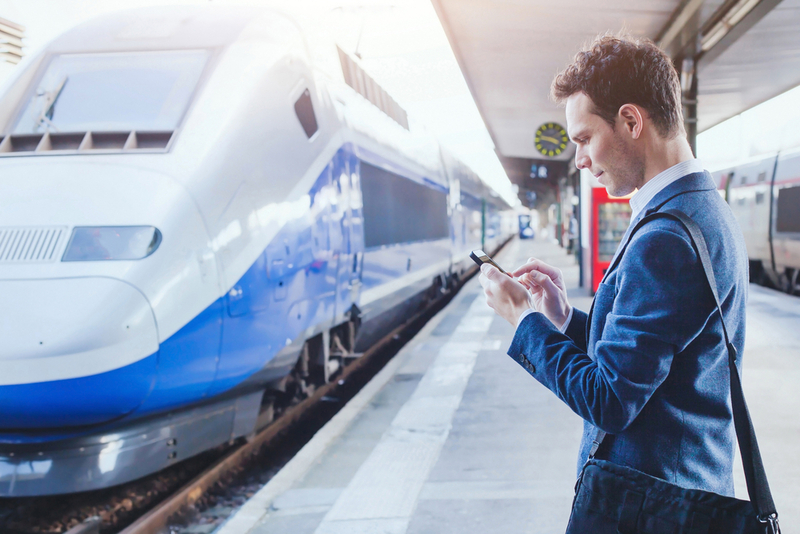 An industry leader, ZingTrain, keeps their staff informed by using various channels — a letter in their paycheck, check-ins from the manager, printed updates in a central and consistent spot, and monthly seminars. They recognize different learning styles and encourage other businesses to communicate in three ways: reading it, hearing it, and testing out. Technology and our businesses change constantly. It’s crucial to put a system in place to spread the word about the latest company news. Below you’ll find a training checklist you can use for your own restaurant or cafe. Fill it out with the right information pertaining to your business, and then use it when training new hires. We recommend that you actually teach each topic to staff members. A handout is simply not as effective, and will not serve your business as well. Apps to Find our Restaurant: Google, Yelp, Facebook. Staff should be invited to look up your restaurant so they learn more about your business, as well as understand how new customers find you. Apps for Social Media: Facebook, Twitter, and Instagram. 49% of consumers learn about food and your restaurant through social networks. That means you can reach about half of the people on social media just by becoming active. If a customer wants to take a pic of your restaurant, or their meal, do NOT interrupt that. It’s money in your cash drawer! Staff should encourage customers to stay in touch through social media to receive specials and notifications about events. Apps for Restaurant Reviews: Yelp, Zomato, Urbanspoon, OpenTable and TripAdvisor, Facebook. For every 1/2 point rise on OpenTable, sales can rise by 5%. A one-star increase in Yelp rating leads to a 5 – 9% increase in revenue. Remind your staff that higher sales translate to higher tips. Monthly educational seminars focused on good service and terrific hospitality can drive positive reviews and improved volume. Role play is the single most effective shift for servers here at Cavalletta Solutions. For instance, certain members of the staff know the “script” and act it out in a table service setting. We have found staff learned the language, the tone to use, and how best to invite a customer to spread the word on a review app. 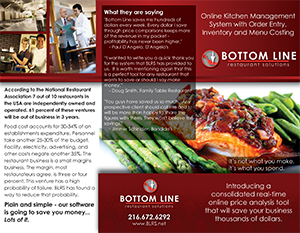 Training at one restaurant in Baltimore translated into a 2.2% growth in revenue year over year. Apps for Discounts: Groupon, Yelp. Note: Discounts for restaurants need to be used sparingly. 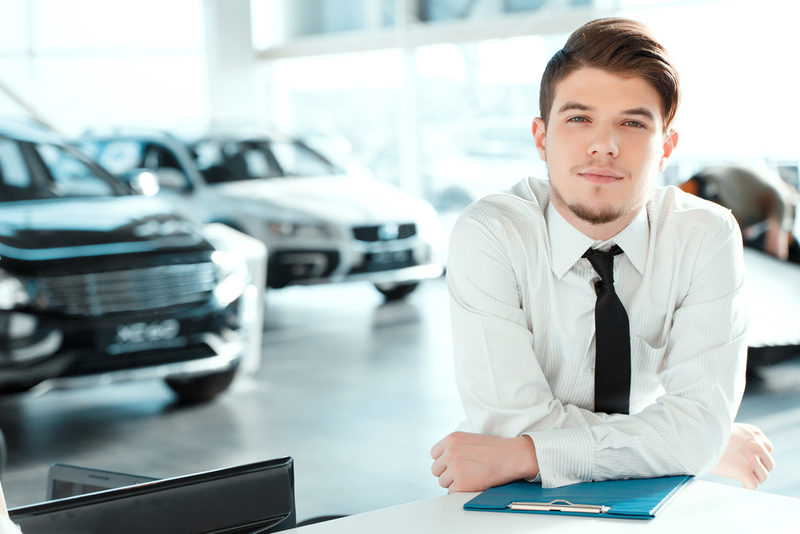 Record your results—too often an owner assumes a discount didn’t work. Record your data, look at the data, then reach an accurate conclusion. 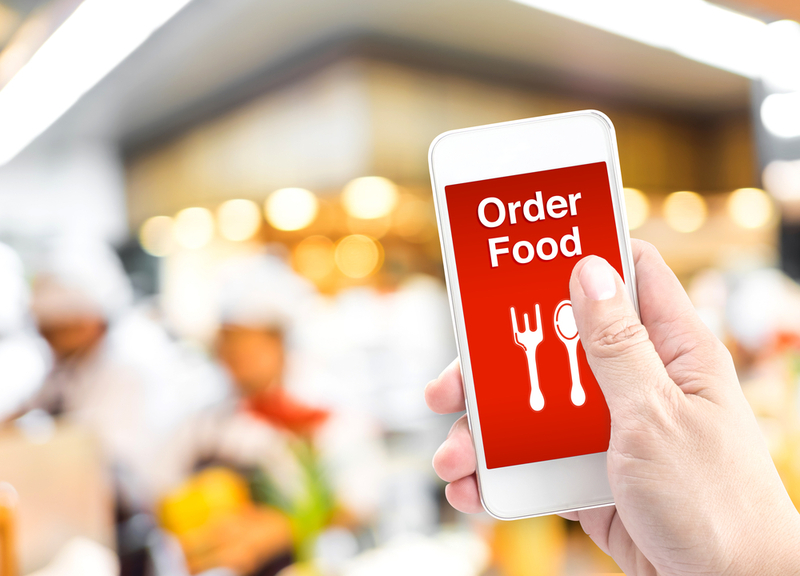 Apps for Delivery: Uber Eats, Postmates, GrubHub, Eat24, EatStreet. Train your staff on how each of these delivery systems work. More specifically, show them which machine is for which app, how they should enter information in the cash register, what happens when the driver arrives and who is allowed to turn off an app when the kitchen is in the weeds. Apps for Payment: Square, Paypal. Teach your staff that you accept different methods for payments. If a phone call comes in asking about Square, they probably need to talk to a manager, as it may be related to catering or venue questions. Apps for Loyalty: Five Stars, Flok, Stamp Me. Loyalty is king, and your staff should be fully aware of this. Returning customers are crucial to your restaurant, so teach them how to bring up your loyalty program to customers. Loyalty is Cavalletta’s preferred method of gaining market share and is more effective than discounts. In today’s mobile-friendly climate, a branded app for your restaurant can encompass all of the above technologies. In other words, in-house apps link to and combine the features of many other apps. However, it can only be successful if your staff embraces it. If you decide to go for a fully-integrated app made specifically for your restaurant, or already have one, you need to train your staff on its features, functions, and benefits. Have them download the app on their own phone, and give them some time to interact with it themselves. By educating your staff on the app, they will be more engaged with the technology. Lack of training here will lead to a distrust, apathy and, ultimately, an app that fizzles away. 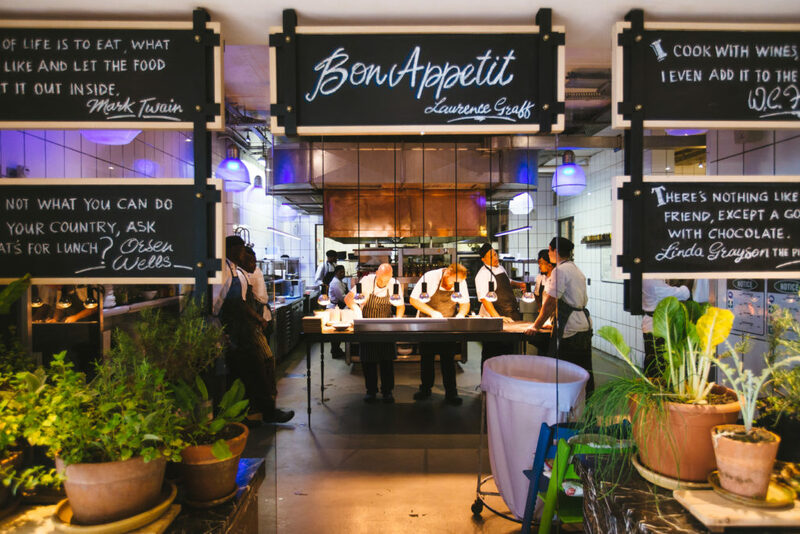 How can you keep your staff up-to-date on the ever-changing restaurant technology? With the above template, you can teach every staff member from the get go. Additionally, update them in daily lineups, monthly education seminars and through your communication flow – keep your staff updated on any new technology. With only a 5% growth projected in the restaurant industry for 2017, training your staff on technology can give you the advantage you need. You should focus on these two metrics: mobile app engagement and mobile app retention. 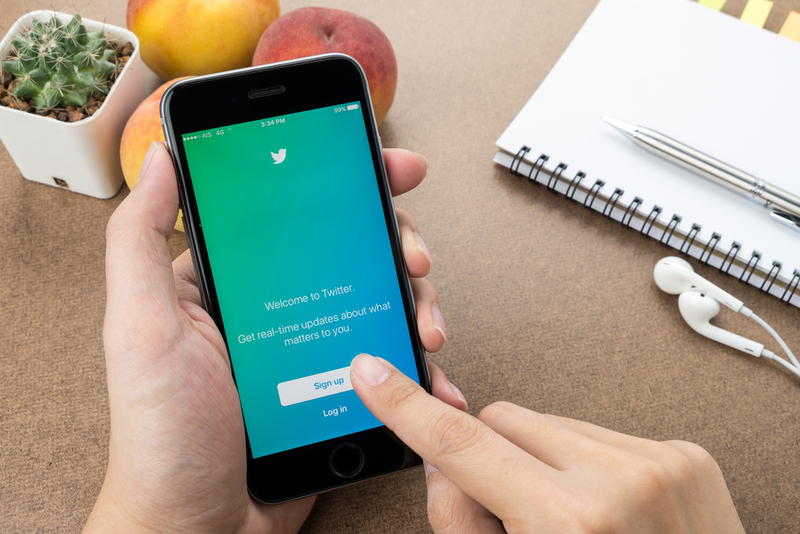 While both are subjective metrics, high engagement and retention make for a successful app. More specifically, engagement refers to how active users are on the app (e.g. how many user sessions per month). Retention, on the other hand, focuses on the percentage of app users who return to the app (e.g. how many users return within 3 months of the first session). Think of it this way, if version one of your mobile app was just a good looking exterior, the following versions will be an in depth system of engagement. The goal of your app is to help people take action in their immediate moments of need. Increasing mobile app engagement begins with these micro-moments and, arguably, the most important one in this case is Be Useful. You need to be useful and meet users’ needs in critical moments. That means connecting people to what they’re looking for in real time and providing relevant information when they need it. As Google says, “With mobile we’re able to add a rich understanding of context to consumers’ underlying intent. That context provides critical insights into consumer behavior—and therefore powerful clues for how you can be most relevant and useful for people in their moments of need”. But what happens if you are not useful? Without utility, consumers will not only move on, they actually might not ever come back. Only 9% of users will stay on a mobile site or app if it doesn’t satisfy their needs (for example, to find information or navigate quickly). So if quality, timing and relevance of a company’s message are important, how does this translate to your app communication? Frequency: To send or not to send? The answer to this question lies in your understanding of the app audience and their expectations. A great way to find out more about your users is by implementing a “preference center” within your app, allowing users to select the subject matter they want to get push notifications about and when. You want users to be receptive to your message, therefore knowing your audience is key in leveraging push notifications to foster engagement. Timing: Consider not only the frequency of your push notifications, but also the time of day. It is important to send out messages when your users are active and already on their phones. For example, lunch time and early evening are common times people are on their phones. Determine the ideal send times by using A/B testing. Once you have discovered when the most users are in front of your app, segment the audience based on their attributes to improve response rates. 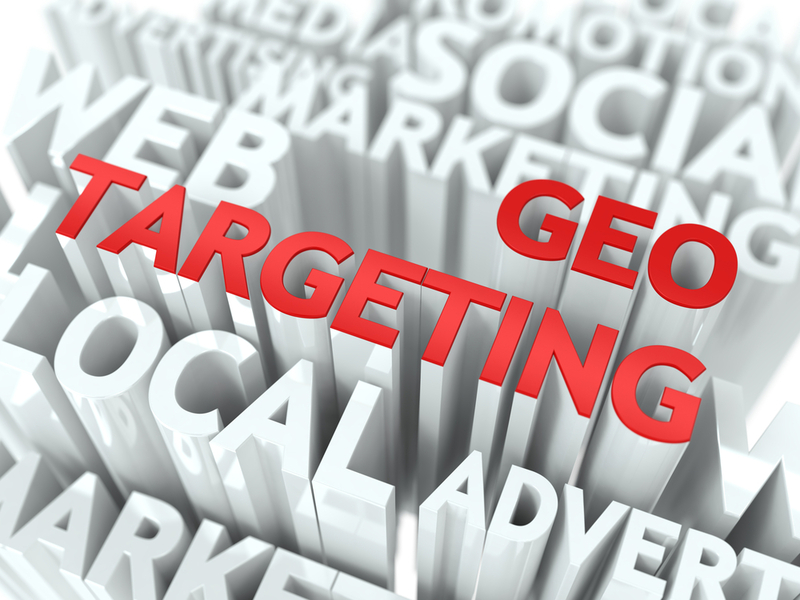 Brands using segmentation have response rates 4-7 times higher than those who do not. Content: The smartphone is a personal marketing medium, and your app users are expecting tailored and important messages to come their way. 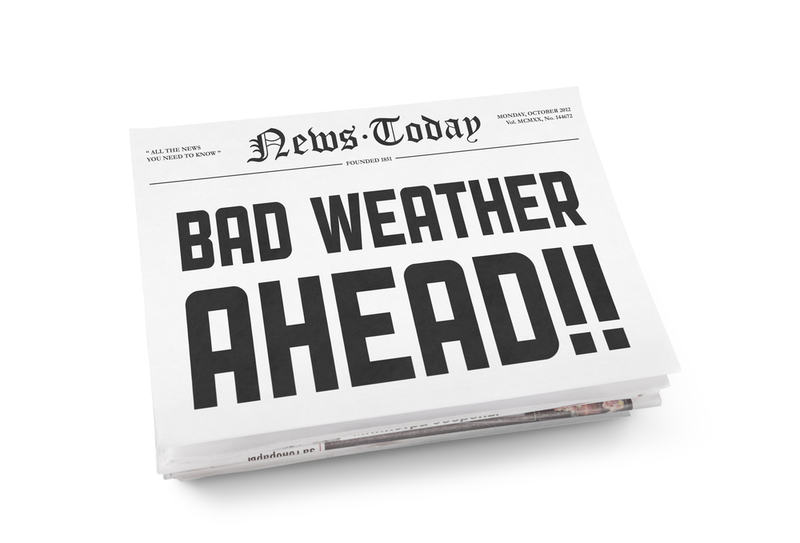 Language that conveys urgency (i.e. time-sensitive deals) and relevancy (i.e. sending it to the relevant segment) will drive users back to your app. Push notifications have the potential of annoying recipients, so to counter this, your content needs to be honest, helpful, funny, memorable, clear, empathetic and trendy. As push notifications have design limitations and follow a standardized text format, your words need to motivate user action. Deep Linking: Deep linking guides your audience to exactly where you want them to go within your app. It provides the user with a more seamless experience while reducing barriers to completing a desired action. For example, if you send a push notification about pre-sale tickets to a concert, you can deep-link to a purchase page in your app. The key here is to figure out the path you want your app users to take, and then help to send them in the right direction. 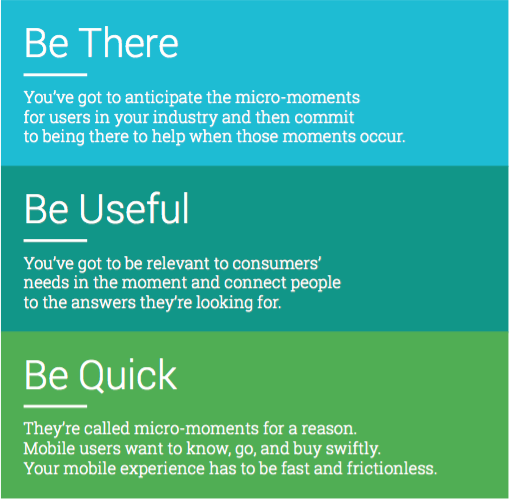 By identifying these ideal mobile moments to send messages to customers, your app will excel at Being Useful. 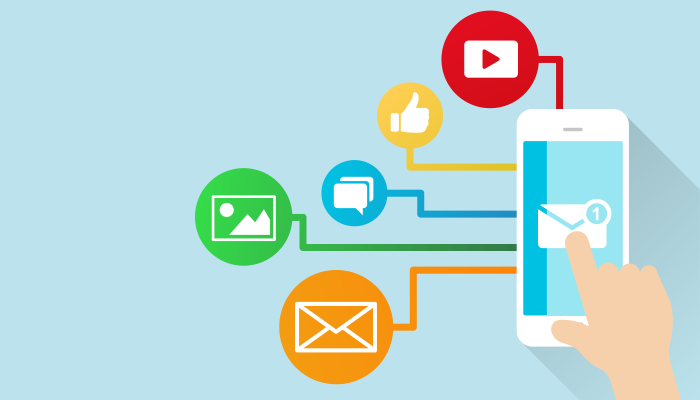 By mastering the art of push notifications, your app will significantly increase mobile engagement no matter what type of app you have, or how you define engagement. Social media marketing and mobile app development are hot topics on the mind of every marketer. These topics should be on the minds of every business owner, too. If you have recently begun re-selling mobile apps, there is a good chance you may be a marketer yourself and thus far from needing any convincing that advertising this new facet of your business on Facebook is a main priority. However, you may be unfamiliar with the idea of marketing white label apps via Facebook, especially when it comes to managing ad spending and maximizing returns. Facebook is a particularly advantageous channel for mobile apps. When it comes to advertising apps, more businesses use this social media channel than any other. And for good reason. 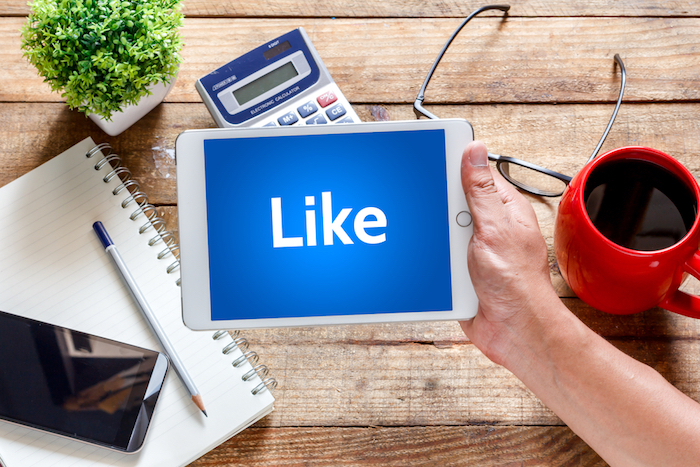 Not only does Facebook allow brands to connect with consumers all over the world, its platform allows for potential clients to engage directly with the apps and content you have created. There is also a good chance that your competitors are already present and attracting clients through this channel. Creating successful marketing campaigns on Facebook is a great way to boost yourself in the eyes of consumers,as a leader in affordable, functioning, and innovative mobile apps. To help guide you through reselling mobile apps via Facebook marketing (and maybe give you a few creative ideas of your own), here are a few key steps that will help make your campaigns (and your business) more prosperous. Before you launch any social media campaigns on Facebook, you have to know who your audience is. A lot of white label app marketers will target a specific type of business, whether it is bars, restaurants, hotels, gyms or another type of small business. It’s imperative that you understand the demographics of your audience. The goal is to optimize your Facebook marketing costs by targeting only the consumers that would benefit from having you as provider of their mobile app solution. This ensures that you work with businesses that match your unique skill sets and expertise. Thus, you produce better quality apps and build a stronger brand and reputation in the industry. The better you are at targeting your audience, whoever it may be, the less money you will waste putting your name in front of people who have no interest in your business. Now that you have your audience picked out, the next step is to work on creating the message that will attract members of that audience. Facebook is a unique channel in that users spend only a few moments, sometimes just a second, looking at any one post or message. This means you have a very, very limited window of opportunity to not only grab their attention, but also to demonstrate the value of your mobile apps and (hopefully) get them to act. To achieve this, your marketing messages have to be clear, concise and demonstrate your Unique Selling Point (USP). Your USP is exactly what it sounds like; it is the one aspect of your mobile app offerings, or your company, that cannot be replicated by competitors. Perhaps, it is your unmatched focus and expertise within the industry you have chosen to focus on. It may be your out-of-the-box creative team. There may be more than one aspect, but the key is to keep the clarity of your message intact. Often, this means focusing on one USP and adopting it in your marketing messages, images and videos. The goal of every Facebook campaign is the same. While getting lots of reach and engagement is good, ultimately you want conversions. 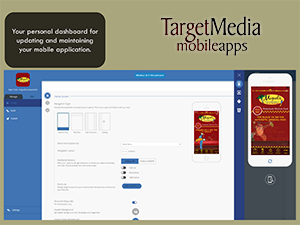 You want members of your target audience to click through your advertisements or content, find your website and purchase a white label mobile app from you. Your campaign brings everything together; it is targeted at the right audience, it has a simple message that highlights your USP and it does this in a creative and appealing way. The best Facebook marketing campaigns are the ones that deliver on what they promise. So, avoid trying to draw people in with untrue headlines or other clickbait tactics. If you are unsure where to start with your campaign, Facebook’s Help Center has a lot of information that can help you launch your first marketing efforts on this channel. Facebook also offers their Power Editor feature, which provides an intuitive dashboard to create, manage and track new, existing and future campaigns. It can be a powerful tool, whether you are a first time Facebook marketer or an experienced veteran. Remember, when you are making content for your campaign, the creative is much more important than the copy. When it comes to Facebook, people want to see, not read. Having a compelling image or video, with little copy, is the best route. A lot of Facebook marketing gurus swear by the 20% rule, which dictates that only 20% of the creative should involve copy. One of Facebook’s strongest qualities as a marketing channel is that it is highly measurable. Everything your company posts on Facebook has trackable metrics, which can allow you to better understand the tactics that work and those that do not. These metrics, however, can get confusing to differentiate and it can be especially hard to understand which ones are furthering your current business objectives. Click Through Rate (CTR) – Click Through Rate is the percentage of people that saw your ad or content and actually clicked through to find your website. Conversion Rate (CVR) – Conversion rate represents the percentage of those that clicked through to the website and actually contacted you about an app, joined your e-mail newsletter, or took some other action that resulted in you capturing their contact information. Cost Per Action (CPA) – How much did you pay in Facebook advertising and targeting to get a single person to your website where they contacted you about an app, joined your email list, or gave you their contact information in some other way? CPA is akin to cost per lead in other marketing channels. If you are interested in generating new clients, your goal is to stimulate a high CVR, while maintaining a low CPA. Alternatively, if you were just looking to boost your brand awareness on social media, having a very high CTR is a good benchmark metric to follow. If you are not getting the metric levels you anticipated or want to reach, chances are your Facebook marketing efforts need some tweaking. Perhaps the creative doesn’t resonate with your target audiences, or the message isn’t impactful enough. Whatever the case may be, you will know when you fix it and start seeing your metrics tend in the right direction. While the primary focus of this guide has been getting the most out of Facebook ads, there are a number of other ways to leverage social media, especially Facebook, to further business objectives. 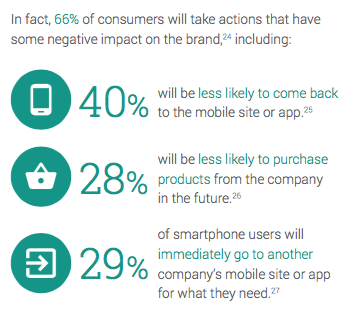 Educate Users – Not everyone is entirely comfortable with mobile yet, especially small businesses. Sure, we use mobile all the time, but when it comes to adopting a mobile strategy within an organization, a lot of business owners are weary. While they have heard and understand mobile’s many benefits, they are unsure what exactly to expect from “going mobile.” They may still feel that a mobile solution is out of their budget. By posting educational materials (even just links to mobile-related articles), you not only stand out as a company that is routinely staying ahead of the curve on mobile trends, but you can also help inform some of these weary business owners and raise their comfort levels regarding mobile development. Client Endorsements / Testimonials – One of the key features of Facebook that makes it such a tremendous success is the social aspect. Each one of your clients present on Facebook likely has hundreds of friends that have never heard about your organization. While it may be uncomfortable to ask a client to endorse you on social media, you would be surprised how willing most people are, especially if you agree to discount their app or provide them with another service. Asking for an endorsement not only expands your reach, but it allows that customer to feel that their voice is very valuable to you. Share Update News – Reselling mobile apps means you are trying to get people to buy a product that is constantly changing. As mobile trends develop and customers look for new features, your reseller program will update their platform to accommodate these changes. As the updates roll out, informing your audience of new features (or old issues that are now fixed) keeps them in the know and has the potential to generate new business. Maybe a potential client looked at your offerings a few months ago, but you lacked a certain feature that they were looking for. Now that you have shared the news that you now include that feature, that person may come back. Choosing to resell mobile apps is a great way to propel your business into the mobile age. With this guide, you can begin promoting your business through Facebook and become a leader in mobile app development in the eyes of your target audiences. You are equipped with the knowledge to successfully run a Facebook marketing campaign that keeps costs low, but returns high. 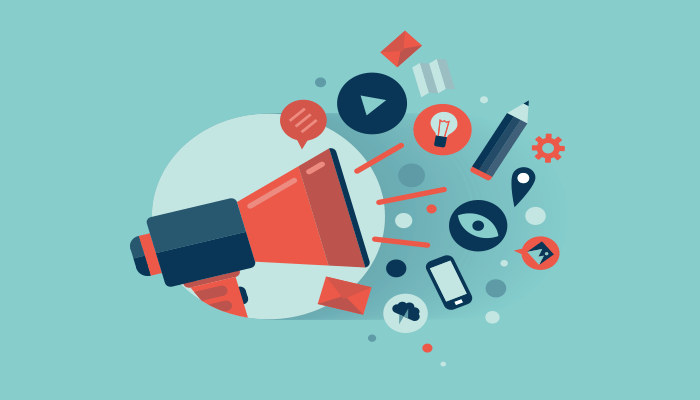 You also have a number of ways to support your advertisements and marketing messages with other content, such as informational articles, client endorsements and more. In a lot of ways, reselling mobile apps through Facebook marketing blends together two key, but different disciplines: science and art. Hopefully, what you have managed to take away from this guide has provided you with the know-how to handle the data-rich, science side to Facebook Marketing. The artistry, on the other hand, is up to you and your creative team to develop, critique and re-imagine. In the end, you will be generating more business, at fewer costs, than if you went into Facebook Marketing blindly. Not only does this give you a potential leg up on the competition, but it also allows you to focus on what is truly important; making unique, creative, white label apps for your clients and and growing your business. Any affordable option is worth exploring, and when you build an app equipped with geofencing capabilities, you are setting yourself up to stay current and competitive. 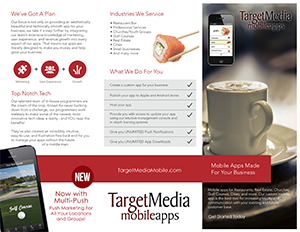 Learn How to Make Geofencing Work for Your Small Business with TargetMedia Mobile Apps. In January 2015, Clutch conducted a survey of a number of leading mobile app developers to determine the average overall cost of building an iPhone/Android app, including the factors or variables that affect cost the most. The findings put the average cost of mobile app development between $37,913 and $171,450. For a small business, even the lower end of this price range is a hefty one to swallow, especially without an immediate return on investment. Luckily, the average price has fallen drastically. While the numbers may be a bit out of date, the data can still help us identify the features carrying the highest cost when developing a mobile app: the infrastructure, features, and design. On the less expensive end is the planning, deployment, and even testing that goes into the mobile app’s release. Technology often changes so fast that as soon as data like the above is released, newer technology has made development more accessible, thus lowering costs. As mobile development has become more popular and important in today’s business world, the number of app builders on the market also grown. More providers means more competitive pricing; there are more options to choose from, and some of these options are remarkably cheap compared to the prices we were seeing just a year or more ago. Also on the rise is app development software. Some of these software or app development services are designed for a small business to make their own mobile app at a very low price. As long as a business owner is willing to take the time and effort required, these hyper user-friendly tools can drastically reduce overhead. The evolution of mobile is almost identical to the changes we’ve witnessed in web development through its infancy and beyond. In the early stages of the Internet, having a website became an undisputed necessity for businesses, but development was costly. There was only a small number of developers and designers available. Now, there are a number of inexpensive services that allow anyone to make their own functioning website with relative ease. With a mobile app becoming a much more reasonable investment for a small business to swallow, the future looks very positive. Recent data reports that roughly a quarter of small businesses already have a mobile app and another 27% of them have plans to enter the mobile world in the next year or so. As prices go down and accessibility goes up, these numbers are likely to increase rapidly. Part of the shift from uncertainty to conviction is simple education. Small businesses ambivalent about adopting mobile may have been quoted for an app a year or more ago and still believe it’s out of their price range. Others fail to see how a mobile app will impact their business or how it’s relevant to their industry. Accessibility & Visibility — As mobile search volume continues to grow, adopting a mobile platform is more and more important for accessibility and visibility. If consumers can’t find you or interact with your brand in the mobile environment, they may defect to a mobile competitor. Alternatively, attracting new customers without a mobile app could become harder and harder; your business is less discoverable and you lack a key tool to keep you up-to-date and competitive in your industry. Internal Processes & Productivity — While we often think of apps as a new platform for our customers to engage with, mobile development also improves internal processes and productivity. 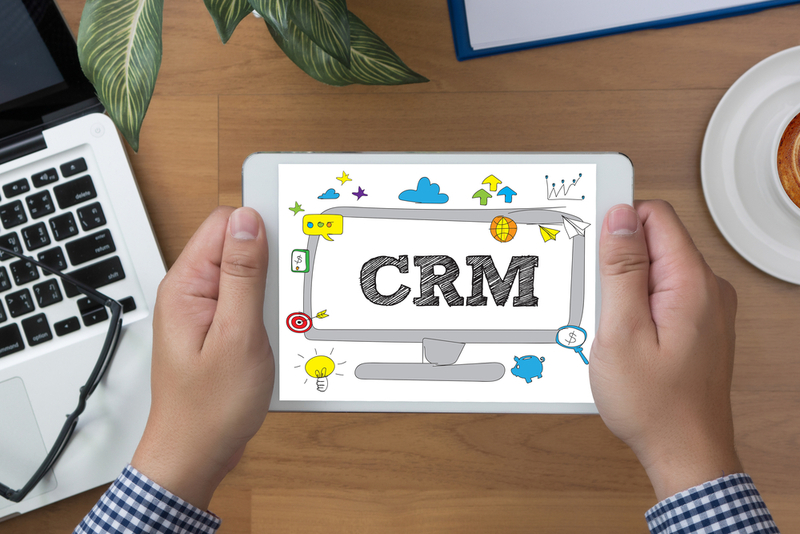 Many companies utilize desktop software to facilitate certain day-to-day business processes. A mobile-centric version of this software could further enhance these processes. After all, mobile is, well, mobile, which means you can perform these processes on the go instead of sitting down to fire up your desktop. Customer Experience — Without mobile, a customer’s relationship with your brand or company is interrupted the moment they walk out the door. By providing a mobile app experience, that relationship does not have to end. Your brand is more accessible, appears more personable, and can stimulate more communication. Improving the customer experience ultimately increases brand loyalty and reduces churn. All of these factors and others have direct relationships to profits. The more visible you are, the more discoverable you are to new and existing customers. 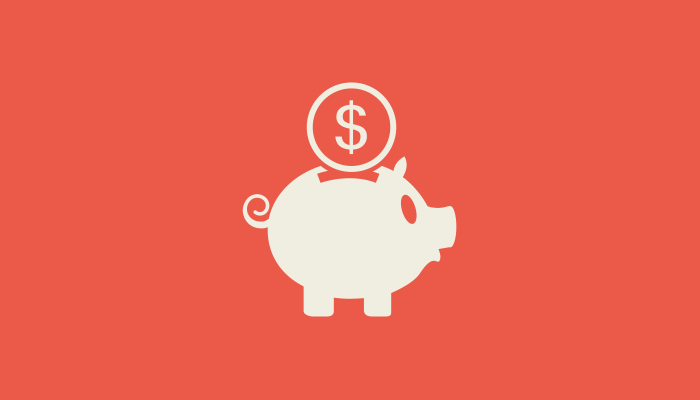 Internal mobile apps boost productivity and, perhaps more than ever, time is money. Lastly, a mobile app is key to enhancing the customer experience, which is becoming more and more important to audiences. It is no longer about offering the best product and quality, you also need to provide the best experience and mobile is one of the most important facets of that. The mobile world took off like a rocket. In a few short years, it moved from a trend and a business luxury to an accessible and vital dimension of the modern business. In the past, small businesses couldn’t afford to invest in this rapidly growing, mobile world. But as mobile has grown, so has the number of app developers and services available, reducing the costs of mobile adoption. Even though only about a quarter of small businesses have entered the mobile app world, more expect to join soon. Those who remain unconvinced may be swayed as prices go down and accessibility goes up. And for the rest, a little bit of education on how mobile can impact their success could set them over the edge. While apps continue to dominate the mobile market, many business owners looking to build one are thrown for a loop by endless trends and terminology. There’s a lot to learn, but if you have to settle on one thing, make it the push notification. More complex and robust than the text message, push represents the modern wave of communication that puts more power in the business owner’s hands, and it’s arguably the best ROI feature of all. What best practices should I follow? Why do people use push notifications? The power of the push depends on your perspective. To users, the push notification represents instant access to information with little to no energy on their part. Want to know if someone scored on your Fantasy Football team? Worried about traffic? Looking for the latest deals? Push notifications deliver key info without costing users time or money. Your app developer will typically provide an interface for crafting and sending push notifications. A well-developed interface provides a slew of marketing benefits, including user segmentation and engagement stats. You can target the right person with the right messaging rather than bombard everyone with the same tired, generalized campaigns. Users are more likely to appreciate what you push when they recognize personalization. How do my customers opt in? iOS and Android handle push notification opt-ins differently. iOS users are prompted to enable push notifications when they launch an app for the first time, while Android users are opted in automatically (and disabling them takes a little elbow grease). There are benefits to both approaches. The reaction rate—or number of users who actually interact with push notifications—is obviously higher for Android users, who don’t have a choice in the matter. But they’re also more likely to feel spammed without consent, leading some of the industry’s biggest tech journalists to join the app annoyance discussion. Apple’s approach is a little more calculated; iOS users say yes or no from the start, putting them in control of whatever follows. When an iOS user gets alerts, they’re generally conscious of the fact that they agreed to them at some point. In any case, the most important factor to consider is the value of the message you’re sending. 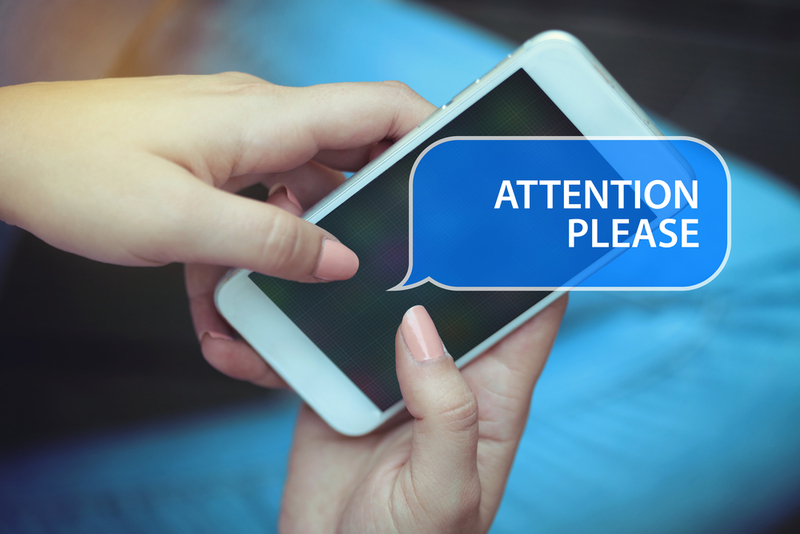 What makes a push notification valuable? Regardless of how users opt in, it’s key that they’re rewarded with messages that are worth their time. A push notification is an extremely beneficial tool—a direct line to your customers’ primary communication tool. As the saying goes, “With great power comes great responsibility.” If you get too “pushy,” you may get booted from the list. On the other hand, if you’re underutilizing push notifications, both you and your customers are losing out on value. So what is “value”? Your push notifications should encourage user action that benefits them and informs you. While they redeem offers or learn something new, you reap the ROI rewards and analyze engagement data to iterate on your marketing strategy. It removes the guesswork, giving you direct insight into what’s working and what’s falling short so you can continue to modify and monetize. How do push notifications appear? Both operating systems have banner notifications that pop up at the top of the screen when the device is in use, as well as a notification center that users can access by swiping downward. iOS users enjoy a bit more control—they can customize individual app notifications, from sounds and vibrations to notification type (banner, alert, badge app icon). Some users enable sound alerts while others keep it silent, opting for vibrations or nothing at all. Overall, it makes for a highly personalized experience. Both Android and iOS prompt users to enable location services. When a user opts in, the device periodically sends location info to the app. This is a fantastic feature for both businesses and users because it facilitates targeted, relevant messaging. Taco Bell has mastered marketing via location services with its “Happier Hour” campaign. The app sends deals and coupons to users when they’re nearby a location. Similarly, Groupon notifies you when you’re close to a business you’ve purchased a coupon from, increasing redemption rates. How can I effectively use push notifications? Determining how often and what to push takes some thought. First and foremost, make sure you’re considering the value a message holds to the end user. Don’t overdo it and spam the heck out of their devices, but don’t underdo it and waste your money on an app that’s not meeting its full potential. If you know your customers personally, you already have enough insight to avoid the most common mistakes. Bottom line, analyze the trends, and then use them to your advantage. Watch the Clock Your users probably don’t need to hear about happy hour specials at 6 AM, unless they’re feeling extra thirsty. It’s crucial to time your push notifications right. Aiming for afternoons, evenings, and weekends are always your best bet. I’m more likely to click a push notification about $1 tacos on my lunch hour than when I’m waking up. Location, Location, Location In that same vein, targeted messages make all the difference when it comes to user engagement. Whether your business stretches country-wide or has just one location, radius & geofenced push notifications help you reach the users that are most likely to respond and avoid spamming the ones who aren’t. Short & Sweet There’s nothing like a good old character count to bring out the artful brevity. Think of push notifications like headlines—they should give the story in a glance. With great click-through options like linked tabs and templated messages, you can drive users to an expanded message, but you should never assume they’ll make it that far. Count on your conciseness to drive it home. If your small business’s website isn’t gaining traffic, actively engaging customers, or targeting the right personas, it might be time for a redesign. This is particularly true if your site’s been online for more than a year and isn’t updated frequently. It’s important to stay relevant—nothing screams “behind the times” like an outdated front-end website—but redesigns can be time-intensive and costly, even if you know exactly what you’re doing. Here are 8 questions to ask yourself before you launch into a website redesign. 1. When was the last time I updated my website? This is a huge indicator of the time you’ll need to devote to a redesign. If your website hasn’t been updated in over a year, chances are you’ll be spending some serious time on content alone. The more outdated your website, the less you’ll show up in search results; that means reduced traffic, reduced exposure, reduced revenue. On the other hand, if you’re pretty diligent about content updates, you’re looking at a shorter timeline devoted to design and optimization. 2. What’s wrong with my current website? 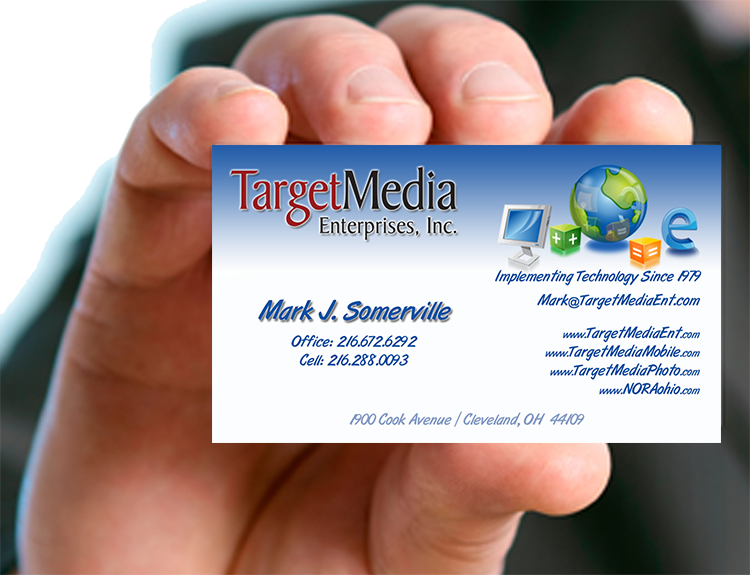 Old layouts, images, content, resources—any outdated elements—immediately age your website in the eyes of the visitor. A bad hyperlink or a broken image can turn a hot lead sour in seconds, and outdated business info means confusion for customers and trouble for you. Make a list of all the problems with your site, then start drafting up solutions. 3. How much do I hope to accomplish? Are you looking to revamp or re-brand? State what you’d like to achieve and be liberal with your estimates. If you have a clear strategy in mind from the get-go, you’ll gain far more from the work you put in. A simple content revamp may take hours or days, while a full rebrand could take weeks or months. 4. What do I like about other websites? Compare your site to those of your competitors. Do they have a more modern design? A wider array of features? Simpler contact forms? You can even visit the most popular websites of different industries and see what they’re doing well. What can you take and adapt from these sites to suit your brand and vision? 5. What is my overall business goal? Are you looking to convert leads faster? Increase traffic or purchases? Draw visitors to your physical store? It’s unlikely you’ll be able to achieve all of those without seeking out some extra help, so identify your biggest priority and do everything you can to execute on that. There are plenty of free online resources that can help you improve your site’s SEO, which is where any entrepreneur should start. 6. Have my offerings changed? We’ve covered this a little, but it warrants repeating. 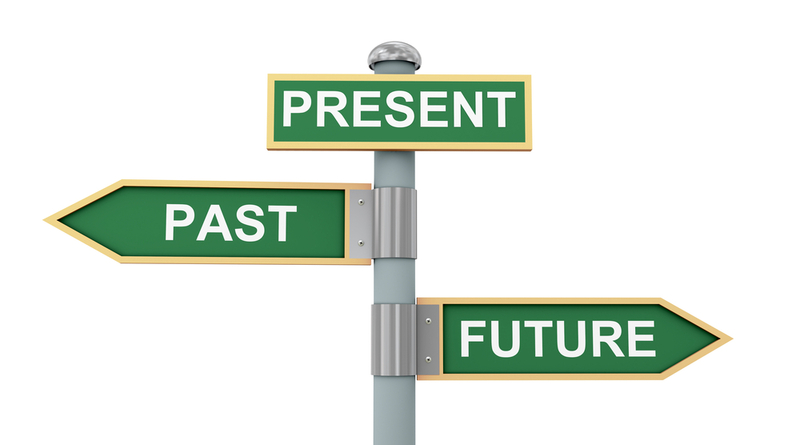 If your product or service has changed at all, you must address that on your website. This is an obvious consideration for e-commerce sites, but brick & mortars often underestimate their customers’ expectations. Web visitors want their online experience to translate into their in-store experience—and if products or services are misrepresented online, you’re setting yourself up to lose business. 7. Can I analyze my website’s success? Most web builders offer built-in analytics or integrations. This data isn’t just important to online retailers—it can help small businesses pinpoint what content is drawing traffic and where visitors are falling off most. Those insights are pivotal to not just your redesign, but your business as a whole. Visitor demographics paint a real picture of the online community that you can’t see clearly offline. Examine your data and make sure it lends to every decision you make. 8. Is my site mobile-friendly? 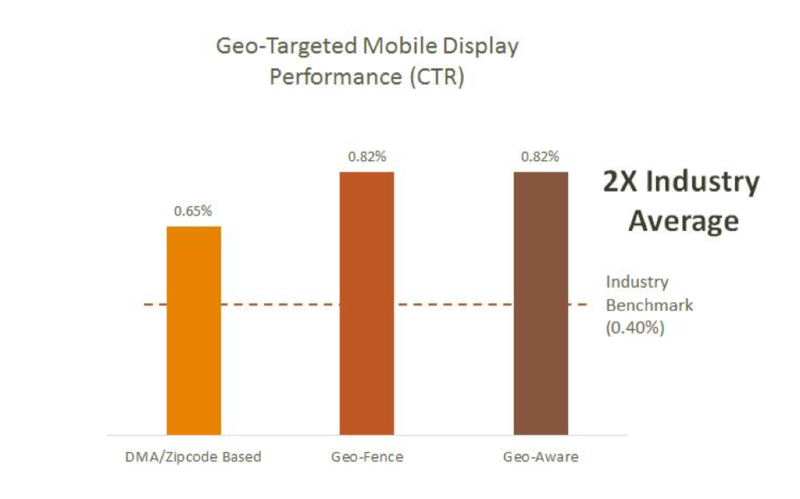 People expect websites to perform just as well on their smartphones as they do on their desktops. Sites that aren’t mobile-optimized are asking for extinction these days—they handle poorly, load slowly, and look awful on most screens. Developing a clean, user-forward, mobile-friendly site should be your chief priority if you’re setting out to redesign anyway. You might still come around to asking the question of “How does this give me an edge over the competition?” The answer is that, by putting all the fundamentals in place – such as a strategy for mobile application and development, along with a social media component – and developing your application using cost-effective services like Proforma Mobile Apps, you’re generating a customer experience that gives your followers and prospective buyers value and purpose.